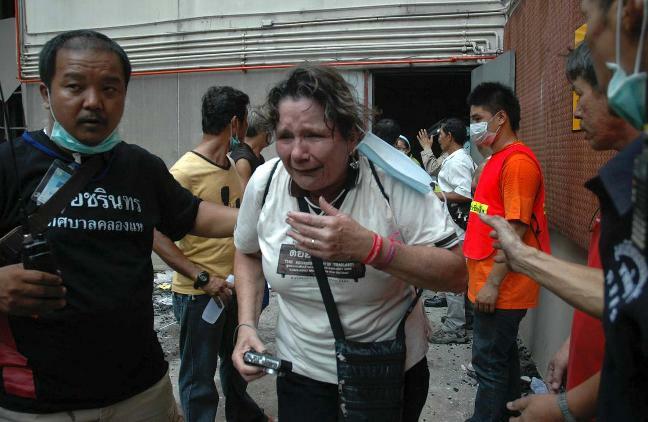 The Lee Gardens Plaza Hotel under attack in Hat Yai, Thailand. Note Western fast food outlets in immediate vicinity. 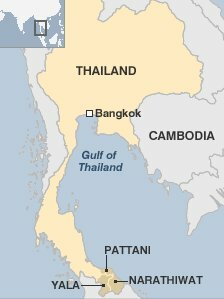 There has been a coordinated mass casualty attack in Thailand, with aspects eerily similar to the 1993 World Trade Center attack. Some 5,000 people have been killed in that conflict since 2004. 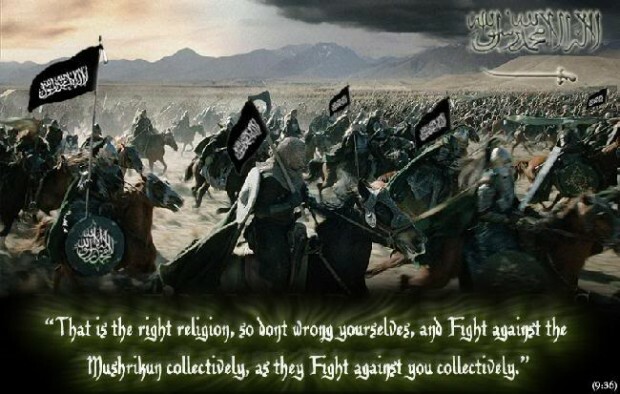 The aim of the Jihadists is largely the same as that of Jihadist insurgents everywhere: the establishment of an Islamic state ruled by Shariah law. 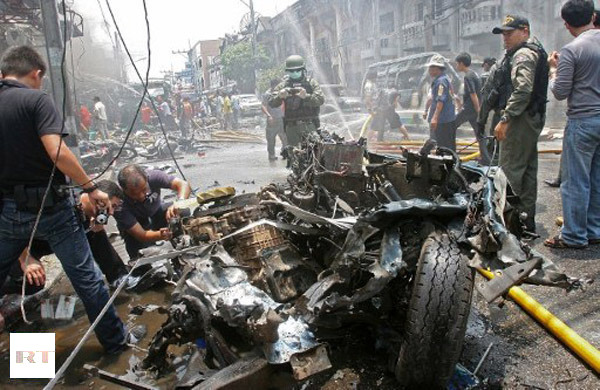 The Jihad in southern Thailand took a major turn for the worse overnight when the Jihadists detonated 3 car bombs and 1 motorcycle bomb, killing 14 and wounding 340. The number of killed and wounded have climbed throughout the day since the initial reports came in this morning. The AP first reported 8 dead and 68 wounded. A couple of hours later CNN reported 10 dead and 100 wounded. Then the AP reported 14 dead and 340 wounded. This indicates that Western news agencies have no one near the scene and are dependent on reports from stringers and local news agencies. That is rather typical of the coverage of this conflict has received all along. No one has really paid attention. The so-called mainstream media has largely ignored the conflict and wants to believe that all such conflicts are strictly born of local issues. The idea of a global Islamic insurgency goes squarely against the narrative that the media rolls out on such conflicts as the ones raging in Thailand, the Philippines, Somalia, Nigeria and elsewhere. At any rate, this latest series of bomb attacks represents a serious escalation of the violence. 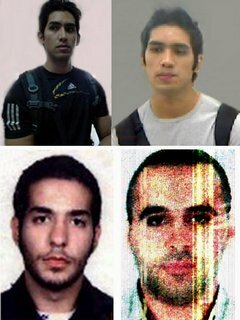 This is by far the largest casualty count for an attack by the Jihadists in Thailand and the attack is by far the most planned out and orchestrated. This could very well indicate the infusion of foreign funding, know-how, training or even Jihadis into southern Thailand. 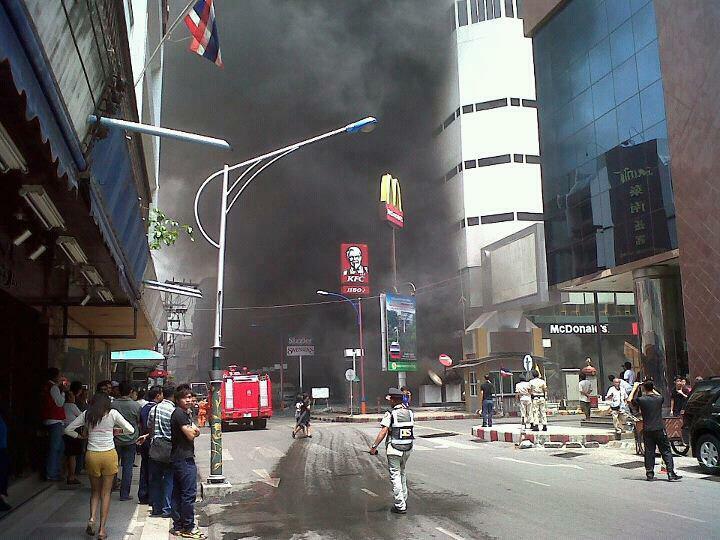 The bombs were detonated in shopping and dining areas frequented by tourists in Yala city. The first bomb was followed by a detonation designed to inflict casualties on samaritans, onlookers and first responders at the same site. This is a common tactic used by Jihadists around the globe. By taking out first responders, any subsequent blast makes authorities appear incompetent or helpless to protect or render aid to victims. Sure enough, while the media was still reporting on the “twin blasts” in Thailand, a third blast occurred in the basement parking lot of a high-rise hotel (the Lee Gardens Plaza Hotel) in the nearby city of Hat Yai. 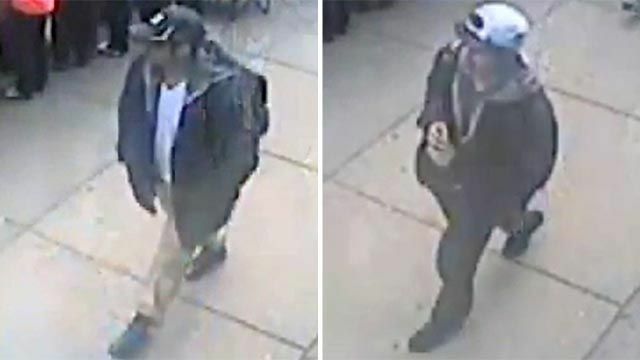 At about the same time, a motorcycle bomb was detonated wounding a police officer. 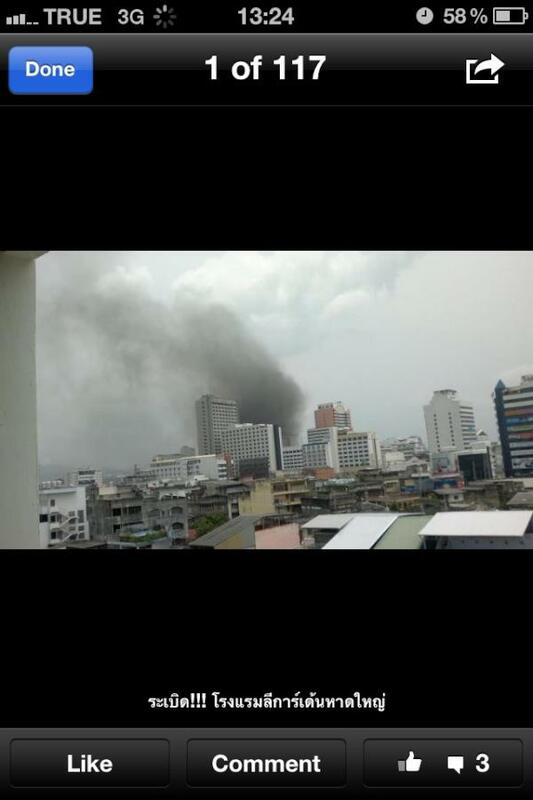 Cell phone camera image of bombing of Lee Gardens Plaza Hotel in Hat Yai, Thailand. The hotel is the tallest building in the area, seen at far left. 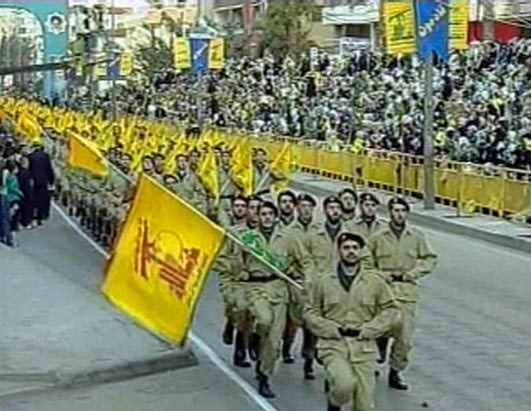 This was clearly a coordinated, planned assault designed to instill fear in the population, make the Jihadis appear more formidable than they have been seen previously and cause chaos. It is also probable that the attack failed in an apparent key goal. The fact that a car bomb was detonated in the basement of a high rise building is very reminiscent of the 1993 World Trade Center bombing. That attack was designed to bring the twin towers down and most of the casualties it ended up causing were due to smoke inhalation. The same is evidently true of this attack in Thailand. It is almost certain that the Jihadis meant to bring that building in Thailand down. 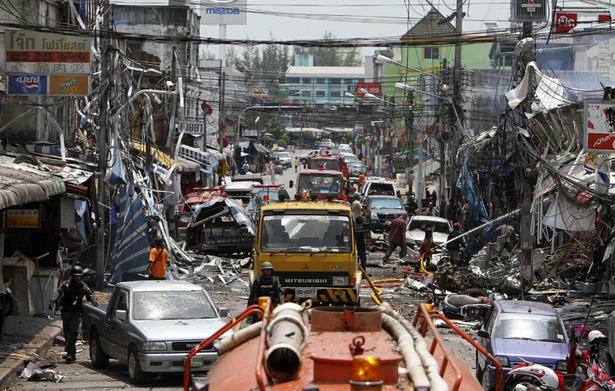 This was meant to be Thailand’s September 11th: a coordinated series of attacks with massive casualties. 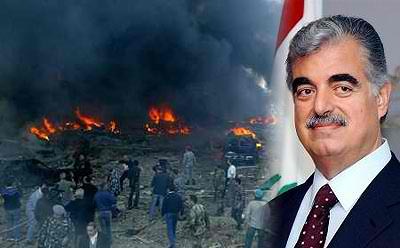 It is tragic that innocent people lost their lives and were injured, but it is likely that the attacks fell short of their goals and caused fewer casualties than they were intended to inflict. 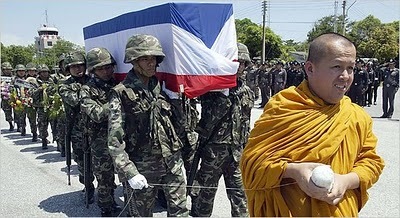 In the early days of this blog, that article was one of our most popular, perhaps because most folks had no idea that thousands of people had been killed since 2004 in an Islamic insurgency in southern Thailand. 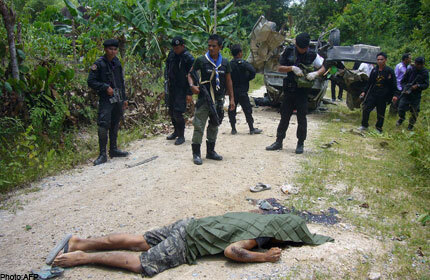 Here we are over two and a half years later and the insurgency in Thailand is still going on. In fact, it’s getting worse. The Thais seem to be trying the same strategy and tactics that have failed elsewhere in the world: appeasement, accommodation and throwing money at the problem after blaming the violence on a bad economy. The Jihadis are getting more sophisticated. They are making greater use of powerful IEDs (Improvised Explosive Devices). This is no coincidence. The terrorists didn’t just wake up one morning and decide to put bombs under and alongside roads. Someone is training them. And if the region is so impoverished, then someone is funding them. Obviously, it follows that someone is providing training as well. All of this after indoctrination in mosques. Thai authorities deny these realities at their peril.